2 ea B&W Alpha Diesel engines 350 Hps. 2 ea B&W Alpha Diesel engines 450 Hps. 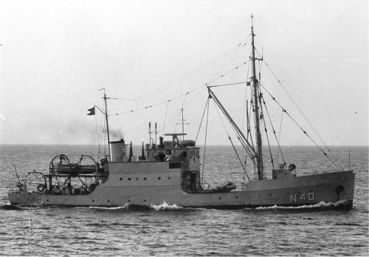 The LOUGEN Class was specially designed for the laying of cable controlled mine fields.